Mouthwateringly tasty, these Organic Chocolate Lime biscuits are made from the finest ingredients and then dipped in dark chocolate. Wheat flour, Dark Chocolate 25% (Cocoa Mass, Sugar, Cocoa Butter, Vanilla), Butter (MILK), Sugar, Invert Sugar Syrup, Lime Oil 1%, Sea Salt*, Raising Agent:* Ammonium Carbonate. * non-organic. 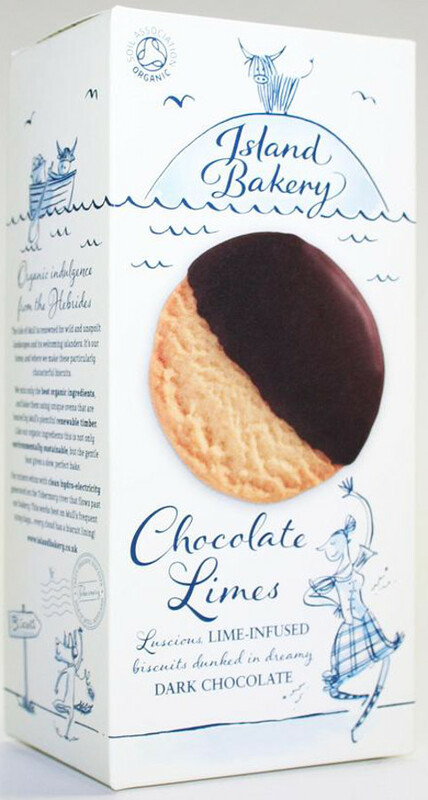 The Island Bakery Organic Chocolate Lime Biscuits - 150g product ethics are indicated below. To learn more about these product ethics and to see related products, follow the links below. Rather too much lime, and ver rich. Special treat I'd recommend.... not see these in the dreaded supermarkets. 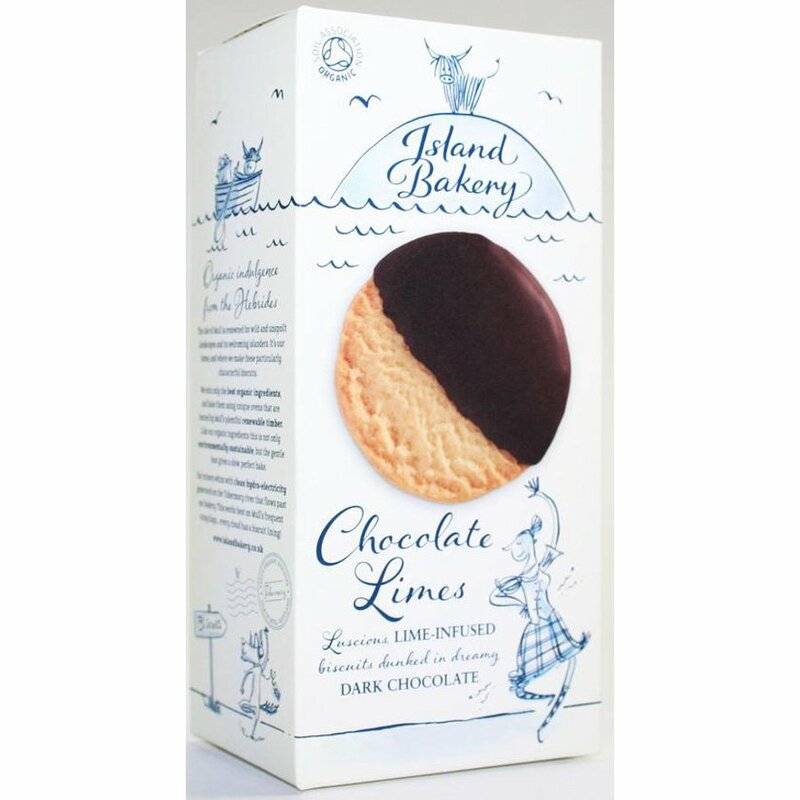 There are currently no questions to display about Island Bakery Organic Chocolate Lime Biscuits - 150g.